Nysus Solutions was started out of a passion for developing advanced technology and a better way of running a manufacturing operation. Each team member brings a wealth of knowledge and experience within a manufacturing setting, allowing us to continually assess and improve our products to better suit the ever-changing industry. That passionate for improvement drives us to stay ahead of the competition and be a leading resource for manufacturing software and automation solutions. We take pride in improving the manufacturing processes of our customers through technology and knowing that our products have helped our customers achieve financial and operational success. Many of our customers have experienced almost instant ROI when utilizing a Nysus Solutions system due to their ability to better understand what is really happening out on the line and use that information to improve their quality, cycle times, employee training and more. A large part of our business growth is thanks to word of mouth recommendations from existing customers. We are proud to know that we have built confidence and partnerships with our customers and vendors which has lead to their recommendations and the creation of new business. Nysus Solutions encourages each employee to take ownership of the projects they are involved in. By giving each team member the ability to self-direct and ultimately, drive the success of each product launch, system implementation and project completion, it becomes evident that we all have a hand in the overall success of Nysus. We look forward to celebrating each individual's accomplishment and learning from every experience. and those in our community. We continually dedicate time to review our existing systems, brainstorming ways to improve while exploring new, advanced technology. Nysus Solutions is passionate about helping manufacturing operations of all sizes improve their overall functions. We offer a number of solutions - small or large scale - to solve the issues plaguing your operation. Every project starts with discussions, plant walk-throughs and a thorough review of the process flow. A dedicated team remains in contact with you during all project stages so concerns, modifications and questions are tackled right away. We take pride in knowing that the product you invested in performs exactly as you need it to. Many of us are involved with various associations and groups to learn from our peers in the industry. From trade shows to conferences, we take every opportunity to be a part of the future of manufacturing and push ourselves to learn new and innovative technology to better serve our customers. Our passion for excellence is evident in our products, our team, and our dedication to the community and we would love the opportunity to show you how! 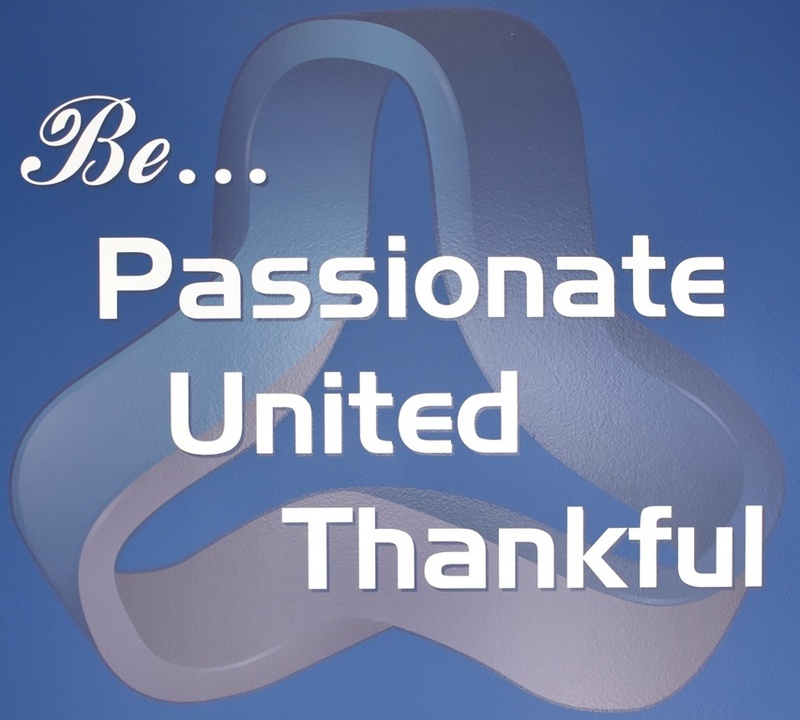 Be sure to keep up with our upcoming blogs to learn more about how we live out our other core values: Being United and Being Thankful!